Welcome to the College of Health and Society (CHS) at Hawai‘i Pacific University. Within the College are three distinct programs: Nursing, Public Health, and Social Work. Educational programs at CHS are student-focused and designed to prepare students for entry into the health professions by building on a strong liberal arts education or to prepare nurses for delivery of care reflective of evidence-based practices through bachelor, graduate or doctoral education. 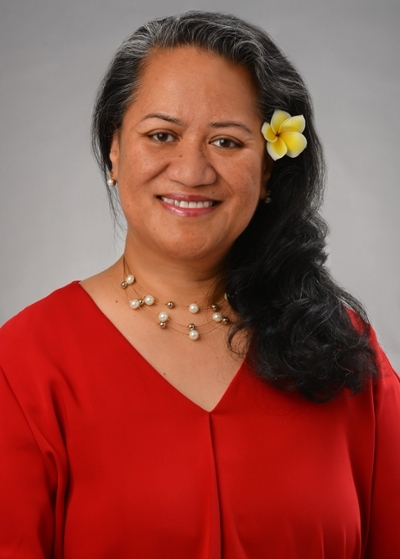 The College of Health and Society at Hawai’i Pacific University welcomes you to a place where our promise is simply to offer a world-class academic experience that is grounded on the core values of Aloha, Pono and Kuleana. Comprised of the unique disciplines of Nursing, Public Health, and Social Work—joined together as a powerful inter-professional force, the College of Health and Society is committed to preparing globally-ready, culturally-responsible and community-engaged leaders and professionals who focus on creating an inclusive and healthy society. We are dedicated to creating an intellectually stimulating, innovative and student-centered environment in which exceptional character and skills can be cultivated. Serving as a pillar in the College, our local communities offer remarkable civic and community engagement opportunities for students, faculty and staff to partner in ensuring student success in the classroom and thereafter as Alumni in the workforce and communities. Our deep commitment to making a positive difference in the world with an added fondness for our local communities here in Hawai’i, will lift individuals, families and communities and encourage basic civility across cultures, peoples and locations. In essence, the world needs to know and partake of the gifts of our extraordinary students, innovative faculty, competent staff and incredible communities—we invite all to join us in this journey. As members of the professions of Nursing, Public Health and Social Work, we have found our individual and collective passion; we hope you find yours here in the College of Health and Society! To support innovation and continuously refine curricula that can contribute to healthy communities, our College of Health and Society formed advisory boards on both the college and discipline levels. We know that in order to be effective and relevant, we must engage representatives from across our communities to provide insight, expertise and service on these Boards. Their extensive knowledge and experience in the field and in advocating for our communities are extremely valuable contributions. The primary purpose of the College of Health and Society (CHS) Advisory Board, in particular, is to guide the direction and build the capacity of the overall College through resource and fund development. Our CHS Advisory Board will help us keep an eye on the future in preparing globally-ready, culturally-responsible and community-engaged citizens.